Darwin, remote romantic and refined. Set in Australia's scenic outback breathtaking vistas abound, home to outdoor festivals, WWII history and ocean-front eateries, the balmy and beautiful surrounds of Australia's 'Top End' are captivating. Time to relax and take your time getting ready for your Special Dinner tonight. As the sun goes down you will cruise off into the balmy tropical evening on a relaxing 2.5-hour sunset cruise around the harbor. Take in the cool night air on the top deck, experience the early-evening views of Darwin's Harbour and the unforgettable Top End sunsets. For your Special Dinner tonight, dine onboard the vessel, savoring a delicious buffet dinner (with salad bar), a choice of complimentary drink and first-class service as you look out across the pristine Arafura Sea. What an amazing first full day in the Top End! 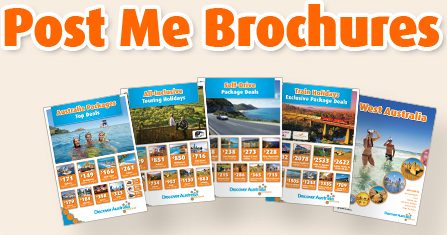 Breakfast, Darwin City Tour with Hotel Pick Up, Sunset Harbour Cruise, Buffet Dinner, Overnight Accommodation. Kakadu National Park is Australia in its purest form, timeless and beautiful, striking and emotive, stunning waterfalls such as Jim Jim Falls bring life to this wonder of nature, Aboriginal rock art (20,000 years old) gives a fascinating insight into the lives of ancient tribes who made their home here. Your friendly driver will pick you up in the comfortable air-conditioned luxury coach before sharing experiences, fascinating facts and enchanting stories in the on-board full commentary throughout the day. Journey along the Arnhem Highway to Kakadu National Park, stop at Nourlangie to see the ancient Aboriginal rock art and after lunch, cruise along the Yellow Water Billabong. Visit the Warradjan Cultural Centre and learn about the Aboriginal people in Kakadu. Arnhem Land is a vast and pristine wilderness, a place steeped in Aboriginal history and magical Dreamtime culture, spectacular and diverse vistas abound here, rugged coastline, lush rainforest, towering escarpments, dramatic rivers and savannah woodlands, see ancient Indigenous rock art and historical remains of early European settlement. Travel by 4WD and discover Arnhem Land and the Mikinj Valley, visit ancient rock art sites and learn about traditional land ownership, bush skills, hunting, food gathering and bush tucker preparation. Visit Ubirr to view Aboriginal Rock Art, then join the Guluyambi Cultural Cruise along the East Alligator River. Visit the Bowali Visitor Centre before returning to Darwin. This morning stop at Ubirr to view Aboriginal rock art. Later, join the Guluyambi Cultural Cruise along the East Alligator River. An Aboriginal guide will provide an insight into their culture, including local mythology, the river’s abundant food chain, as well as bush survival skills. Disembark on the Arnhem Land side of the river to see a display of traditional hunting and gathering implements before heading back downstream. Visit the Bowali Visitor Centre before returning to Darwin. We skirt Francis Bay on Darwin Harbour, head south out of Darwin on the Stuart Highway, take a short break at the town of Batchelor, stop at the Meridean Termite Mounds (learn about Cathedral and Magnetic Termite Mounds), visit Florence Falls (stunning views, perhaps walk down to the plunge pool for a swim in this beautiful oasis), visit Buley Rockhole (cascades and many rockpools offer an opportunity for a refreshing swim), perhaps take a walk to Tolmer Falls (breathtaking valley with a waterfall and distant views toward the coast over cattle stations), see monsoon forests and woodland areas, enjoy a homestyle lunch (with cold meats, salad and tea or coffee), visit Wangi Falls and plunge pool (perhaps take a dip or a stroll through lush tropical forest or relax and just take it all in). Head back to Darwin, reflecting on your enchanting day of enriching experiences on this beautiful and spiritual land. 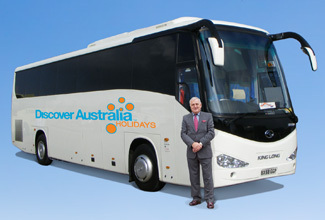 Your special overnight Luxury Coach Touring includes 2 lunches. The luxury vehicle has a personalised air-conditioning, a video system and an onboard toilet. 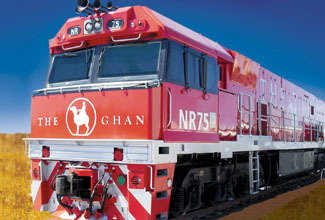 The Ghan to Darwin All-Inclusive with Kakadu Stay is very popular. Many dates book out well in advance, please book soon.